In 1968 in the valley of Belice an earthquake destroyed the town of Gibellina. Today monumental blocks of lime, created by the sculptor Burri cover the different districts like a shroud. This is where every summer the « Orestiadi di Gibellina » perform tragedies created for this impressive natural site. For the inhabitants of Gibellina Nuova, reconstructed on the plain, thanks to courage and strengh of mind, and also thanks to the determination of its mayor, Ludovico Corrao, this represents an opportunity for a pilgrimage in lasting memory of the catastrophe. In 1987 the artistic director, Franco Quadri, asked Thierry Salmon to stage Euripide’s tragedy « The Trojans ». This was the beginning of an immense project of itinerant creation, drawing Giovanna, Marini, Belgian, Italian, German and French actors into the aventure. 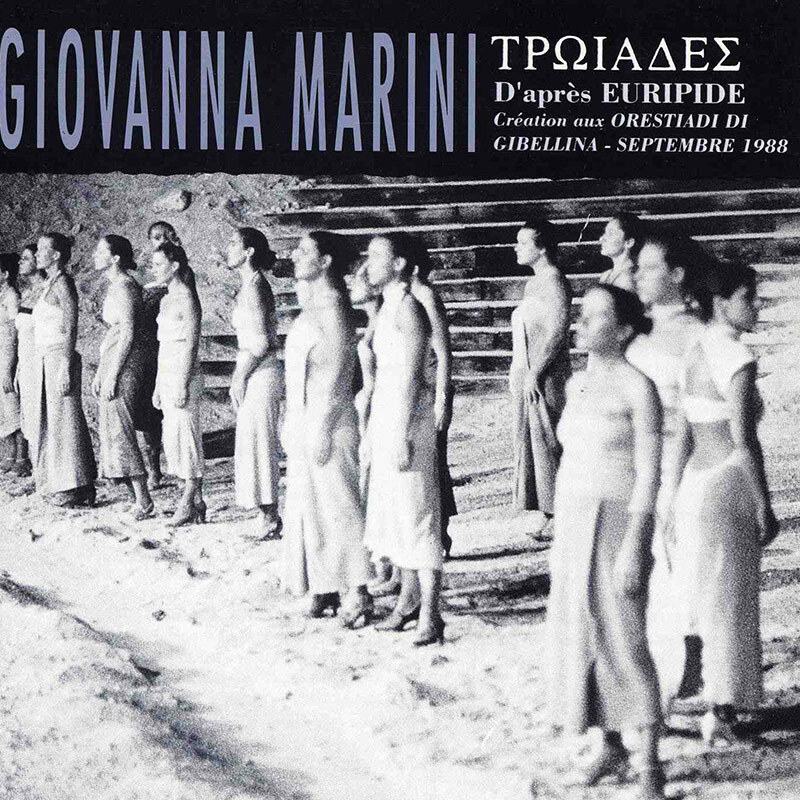 With the support of the percussionist Massimo Monti, Giovanna Marini reinvented a culture of Troy, wich expresses itself through rites, lamentations, chants and rythms.